You should only pay for your child's college education if you can afford it. Parents, you may want to pay for your child’s college education, but it’s only a good idea if you can afford it. Will it put your retirement at risk? Your child can always borrow to pay for college, but you can’t borrow for your retirement. Make sure you’re on track to save enough for retirement; use this calculator if you’re unsure. Do you have other debts to pay off? If you’re deep in credit card debt or have other high-interest debt, you shouldn’t add to your burden. Can you afford the payments? Add the tuition or parent loan payments you’d make to your existing debts to make sure you can fit both into your budget. Will you have an emergency cushion? You don’t want to choose between fixing the car and paying a student loan bill. Can you accept the risk? Taking on a parent loan could jeopardize your credit or ability to borrow for something else. Co-signing also leaves you on the hook for your child’s behavior. Nearly nine in 10 families expect their children to go to school, but only just over one-third — 36% — have a plan to pay for all four years of college, according to How America Pays for College 2017, a study by Sallie Mae and market research firm Ipsos. If your own finances are solid and you can afford to help pay for college, you may decide to take on a parent loan. Before you borrow, consider these tips to avoid taking unnecessary risks with your own finances. Turn to private loans only after your family has exhausted grants, scholarships, savings earmarked for school, work-study and federal student loans. The higher your income, the less free aid your child will receive. If you opt not to help pay for school, less free aid means your child may have to take on more loans to fill the gap. 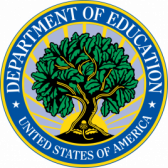 Free aid such as grants and scholarships, along with work-study, is largely determined by the family income reported on the Free Application for Federal Student Aid, or FAFSA. If there’s a gap to close after all financial aid is considered, your child may need a private loan. Private loans tend to carry higher interest rates than federal loans and don’t offer the federal protections, loan forgiveness and flexible repayment options that federal student loans do. And if your child is under 21, he or she will likely need a co-signer — only a few lenders make loans to borrowers with no credit history and no co-signer. If you co-sign a private loan for your child, you’ll be legally responsible for the debt if your child can’t pay. Co-signing a loan will also impact your credit history, and may make it more challenging for you to take on other loans or lines of credit. The only way to get your name off a co-signed loan would be paying off the debt; taking advantage of co-signer release after a period of time if your lender offers it; or by refinancing. Your best option is to exhaust all other financial resources before borrowing a private loan. If you co-sign a loan, discuss the seriousness of the debt with your child. If you do co-sign a loan, make sure there is a co-signer release policy. The annual and overall limits on federal direct subsidized and unsubsidized loans can keep students from taking on too much student debt. But the lack of a similar limit for direct PLUS loans can lead to overborrowing by parents. Direct PLUS loans are federal loans that parents of undergraduates can take out to pay for their child’s college education; they’re also available to graduate students. PLUS loans are similar to private loans in that they require a credit check. Parent borrowers can take on up to the total cost of attendance annually in federal direct PLUS loans. PLUS loans are similar to private loans in that they require a credit check. »MORE: Can a parent loan be transferred to the student? 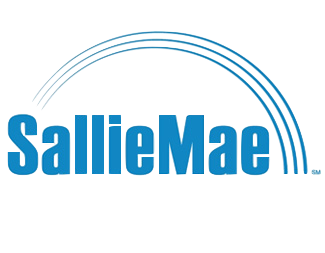 Among those who borrow to pay for college, parents borrow an average $1,431 more in loans than students, according to the Sallie Mae study. In the 2016-17 academic year, parents borrowed an average $10,266 in PLUS loans, while students borrowed an average $8,835 in federal student loans. Taking on loans is especially costly for parents because interest rates on PLUS loans are significantly higher than those of federal direct loans available to undergrads: 7.60% compared with 5.05% for the 2018-19 academic year. For parents with good credit scores and solid finances, private loans could be cheaper. PLUS loan borrowers who run into trouble making payments also have fewer options than federal direct loan borrowers: PLUS borrowers can qualify for only one of the four income-driven repayment plans available to federal loan borrowers. Make sure your child completes the FAFSA to get free aid first before turning to loans. If your family needs to borrow, make sure your child maxes out subsidized and unsubsidized federal loans before borrowing money yourself. When borrowing a student loan for your child’s education, consider the type of interest rate a loan carries. PLUS loans have fixed interest rates, which will stay the same through the life of the loan, but many private loans do not. A variable interest rate may initially be lower than a fixed one, but it could fluctuate over time. Stick with loans that have fixed interest rates so you can lock in lower rates before another increase. If you have existing federal loans with a variable interest rate, which were last issued in 2006, you can consolidate them through a federal direct consolidation loan to lock in a fixed rate. If you have a private loan with a variable rate, you could refinance through a lender to get a fixed-rate loan. If you don’t opt to consolidate federal loans or refinance private ones, then make a plan to pay off your loans quickly. Repayment begins immediately. Income-based repayment is available. Make interest-only payments while your child is in school, or begin making full monthly payments immediately. Full monthly payments generally begin immediately. You may defer loan payments while your child is in school. Make interest-only payments for 48 months or begin making full monthly payments immediately.